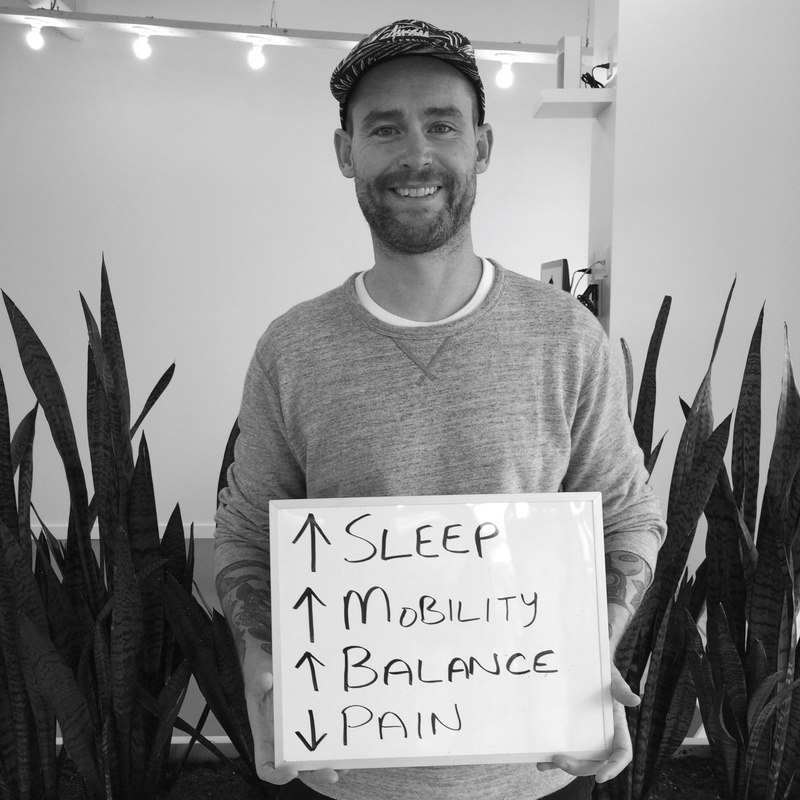 We wanted to find out what concerned people in Vancouver about their health. 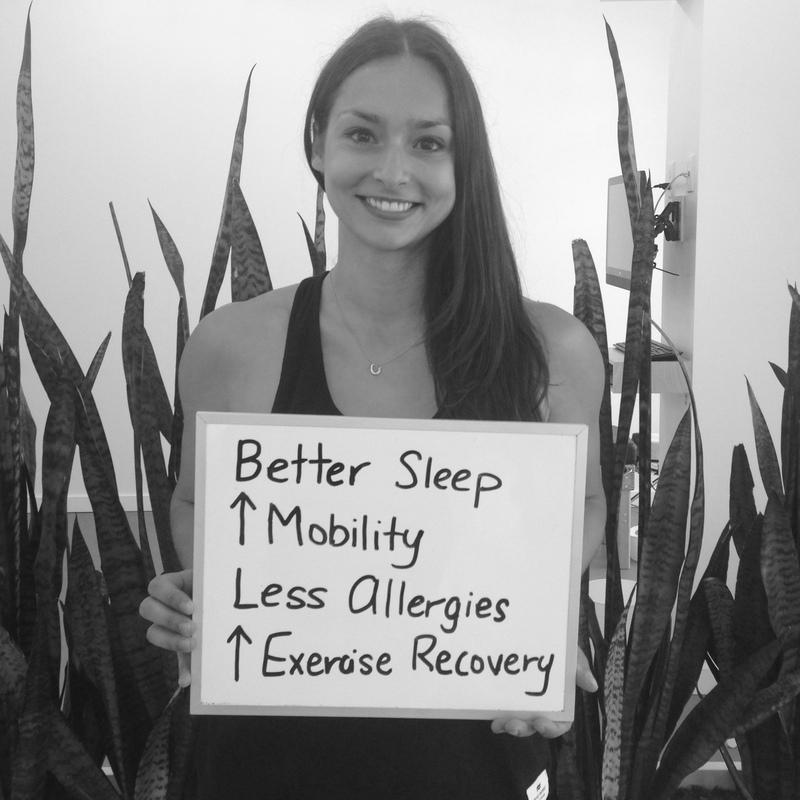 According to our survey… SLEEP is the #1 issue people are having with their health. So, we created this blog precisely with you in mind. We answer some of the biggest questions you have about sleep, how a lack of sleep may be affecting your health… and how to get a better night’s sleep. We spend one-third of our lives asleep. This allows our bodies to do repair, rest, dream, and prepare to take on each new day. 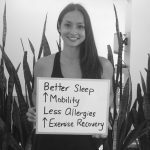 Getting the BEST SLEEP possible has so many benefits that it’s worth getting it right. Most adults don’t realize how tired they are. A lack of sleep impairs mental capacity and limits your ability to clearly think. Research shows relatively moderate sleep restrictions (6 hours or less per night) can seriously impair neuro-behavioural functions in healthy adults. What does this mean to me? The amount of sleep you get affects your brain, your mood, behaviour, reaction time, etc. 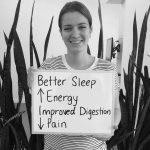 If you think you can get the same job done on less sleep, imagine what you would be capable of with optimal levels of rest… Not to mention the affect it would have on your health. An Overactive mind. Spending the night thinking about work deadlines, household responsibilities, to-do-lists… just to name a few. Hormonal imbalances. Does your body have difficulty understanding when it’s time to sleep? There may be many reasons for hormonal imbalance from some of the above listed items, as well as your diet, exercise habits and whether you drink alcohol before bed. There are many reasons we have trouble sleeping. These change depending on living situation, our health and our life stage. 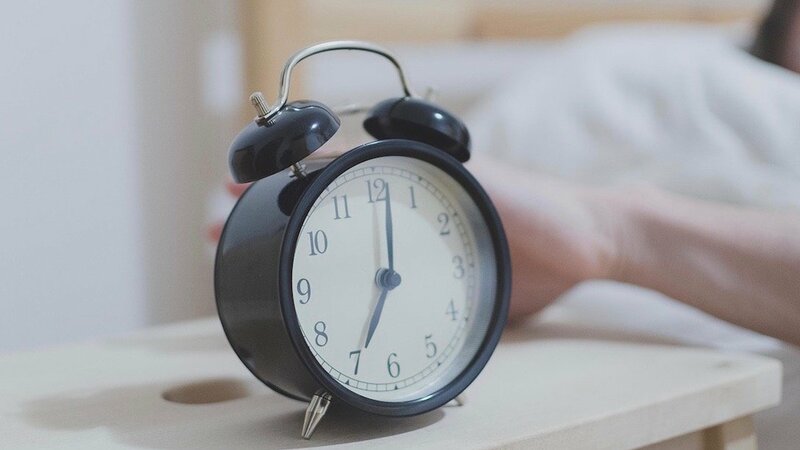 Start by counting backward 8 hours from the time you want to wake up. If you want to get up at 7 am, you must be asleep by 11 pm. To be asleep by 11pm, your bedtime routine should begin at around 10 pm. Set a “bedtime routine” reminder on your phone to help establish this habit. When it goes off, stop what you’re doing and begin your routine. Your emails and Netflix shows will still be there tomorrow. If you have an iPhone, the updated iOS has a bedtime feature in the alarm app. This allows you to create both a bedtime and wake time alarm. The bedtime app also has alternate features for ring tones so you have a slow and soothing wake-up, as opposed to a harsh buzzing noise. If you have an Android device, SleepBot and Sleep as Android are great alternatives. A bedtime routine helps children wind down for bed, get enough sleep and avoid feeling cranky. Adults can enjoy a bedtime routine as well! * Pro tip: when choosing a bedtime story, stick to fiction. A book on business or self-improvement will keep your mind working. A novel will encourage the use of your imagination and better prepare you for dreamland. Choose one thing from your ideal bedtime routine list to add in this week. Start small! Once it’s dark, avoid blue light as much as possible. This includes TV’s, tablets, phones and even overhead lights in rooms. How do you know if your device emits blue light? When used in a dark room, the illuminating light will glow blue. If you have to work at a computer at night, try the f.lux app to change the hue from bright blue to warmer tones on your laptop. Warning: don’t try to do any photo editing while using this feature as your colours will look strange the next day! This feature doesn’t completely protect you, it only mitigates the damage of using your device at night. *Pro tip: decrease the amount of blue light exposure on your phone by using the Night Shift (iPhone) or Night Mode. Our ancestors only had warm red light at night while sitting around the fire. Red hues don’t affect our circadian rhythms like the electric blue light does. Getting enough movement throughout your day is a requirement for health. An easy place to start is Step 1 of Move By Design: Move Slow. Get a pedometer, FitBit or use your iPhone to track the number of steps you are taking each day. Aim for a daily goal of 10,000 steps. At the end of an active day, your body will be ready to rest and recuperate. 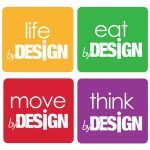 Learn the other steps of Move By Design in our next interactive workshop. Make your bedroom a comfortable place to rest with soft sheets, pillows and a comfortable bed. How old is your matress? When was the last time you flipped it? Choosing a medium-firm bed is best for optimal spinal support during the night. Change your thermostat. The optimal room temperature for sleeping is about 18.5 degrees Celsius (65 degrees Fahrenheit). This is most likely quite cooler than you’re used to. Ensure your room is as dark as possible. Use blackout blinds or a sleep mask to block out any small lights (like standby lights on electronics). We even recommend removing any devices from your room that emit any glow. Keep your phone plugged in outside of your room. I even keep my phone on airplane mode so there’s no chance of a distraction at night. Use earplugs if you know there’s going to be excess noise. They allow you to block out noises that may startle you awake (like a truck going by, sirens or raised voices). 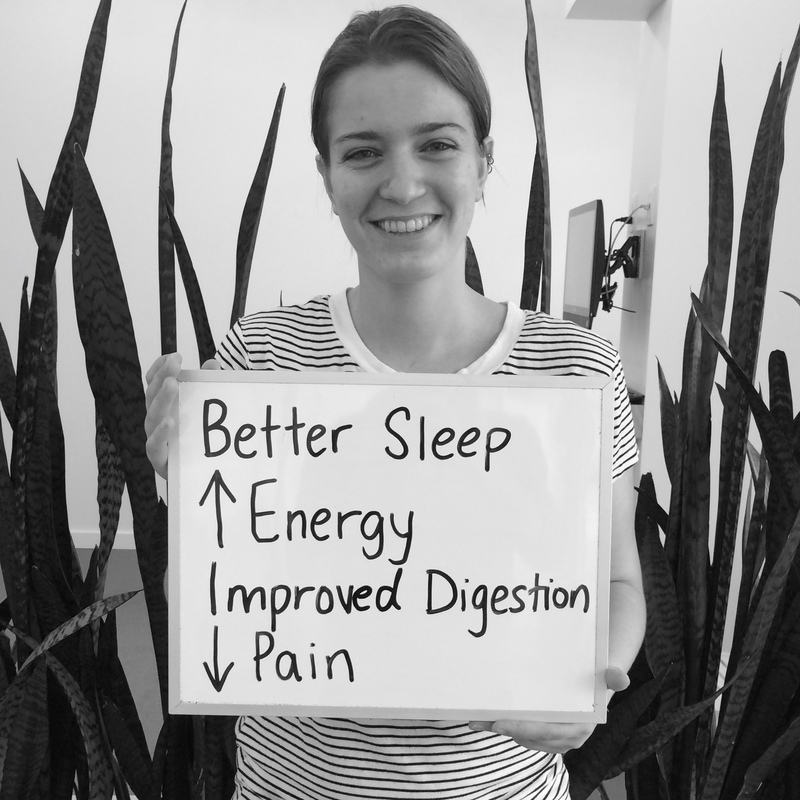 Chiropractic care has so much more to offer than the relief of aches and pains after “sleeping funny”. At The Powerhouse, we often get great effects on our client’s sleep patterns. There can be such a dramatic impact on sleep because of the effects chiropractic care can have on the brain’s sleep centers. Roland came in because he had not yet slept through the night at 6 months of age. 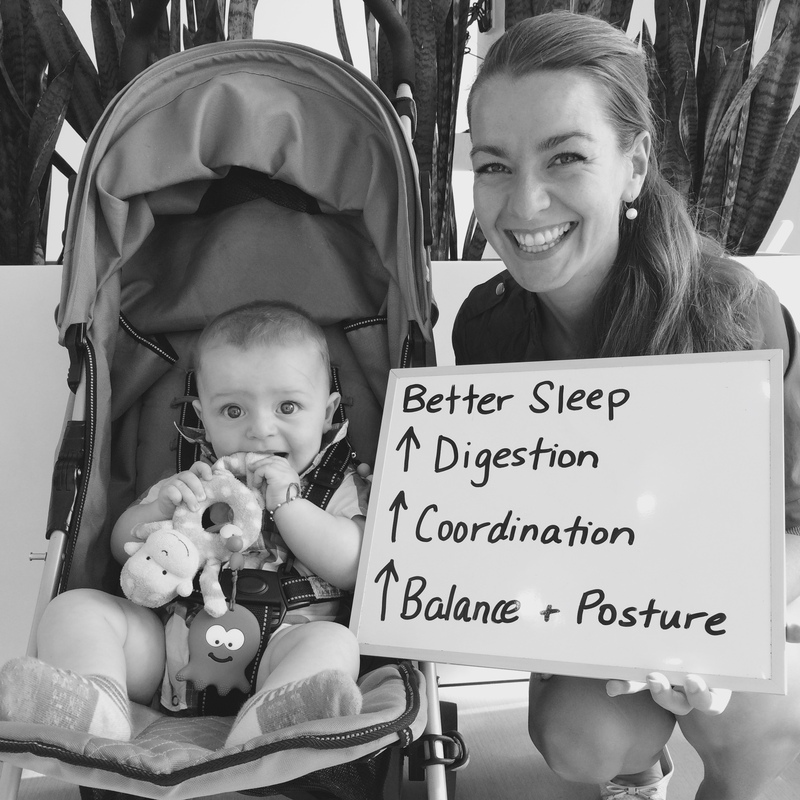 He suffered through colic for the first 3 months of his life… yet after a few gentle corrections to his developing spine, Roland slept through the night, had better digestion and began to gain more coordination as he started to sit up on his own and crawl. As Chiropractors, we work to correct core problems with the structure and function of your spine and underlying nerve system. Your spine acts as a protective armour for your delicate nerve system, the master control system of the body. Through the many stresses of life, shifts in this structure can occur, called subluxation. These shifts place pressure on your delicate nerves and can interfere with their function. This change in function can affect many aspects of your health, including sleep. Alex has been living with chronic pain and battling sleep difficulties, coupled with low energy, since she was involved in a horse riding accident 3 years ago. 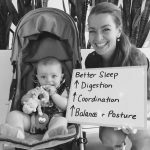 Since beginning to correct a core problem with her spine and nerve system, exceptional changes with her health and quality of life have resulted. We can’t wait to see what changes are yet to come for Alex! Your central nerve system (made up of the brain and spinal cord) coordinates sleep cycles in the body. Studies show in extreme cases of sleeplessness or insomnia, patients have benefited from chiropractic care in the days immediately following visits to the chiropractor. If you would like to find out if a Life By Design Chiropractor may be able to help you, book your free consult by clicking this link. The ideal sleeping position is on your back with your head and neck supported. This is the case anytime except during pregnancy, when it is recommended to sleep on one side with a body pillow. If you usually sleep on your side or on your stomach, experiment with sleeping on your back and see how you feel after a few nights. Your diet can absolutely affect your sleep. If you have difficulty getting a restful sleep, it may be connected to diet. 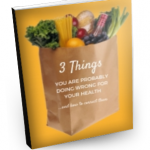 Caffeine, alcohol and processed foods can disrupt your brain chemistry. Eliminating these from your diet will allow for better sleep regulation. If you do choose to include any of these foods, avoid having them within the 4-6 hours of your bedtime. Learn how to fulfil all your fuel requirements at an upcoming Eat By Design workshop. Put your mind to rest by prepping for your day the night before. This could include choosing your outfit, packing your lunch or setting your bag by the door. Many people have trouble falling asleep because their mind begins to race the moment they lay down. They begin thinking about what stressed them out this day or all the things they have to do the next day. If this is you, try placing a notebook next to your bed to capture these thoughts. Stressing out about the events of the day? Try writing in your gratitude journal. Thinking about everything that needs to happen tomorrow? Write these things down as well. This will allow your mind to rest, knowing you won’t forget anything. 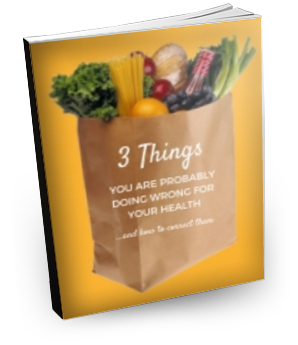 Discover all the requirements of a healthy mind (and what to do!) at the next Think By Design workshop.